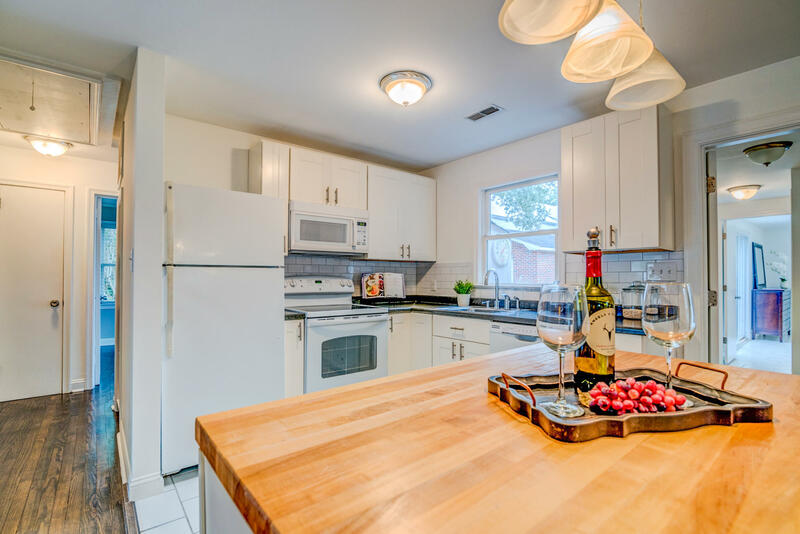 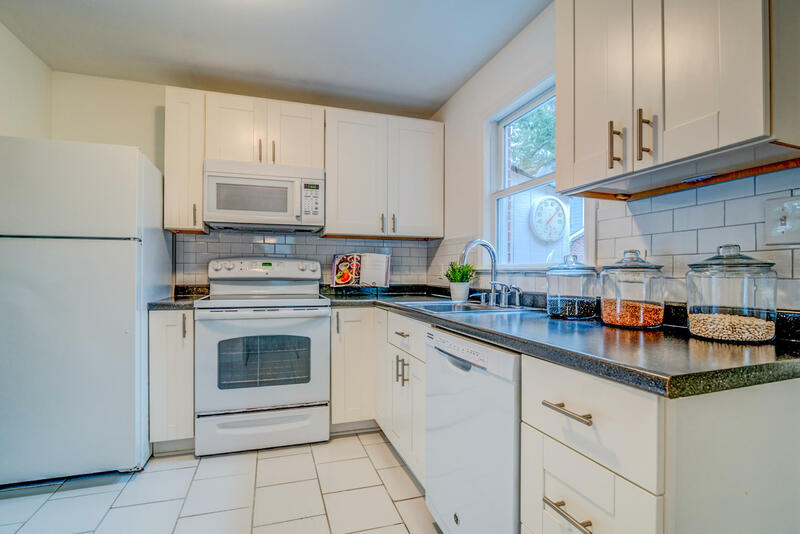 Unbeatable location in the prime of Mount Pleasant&apos;s Old Village! 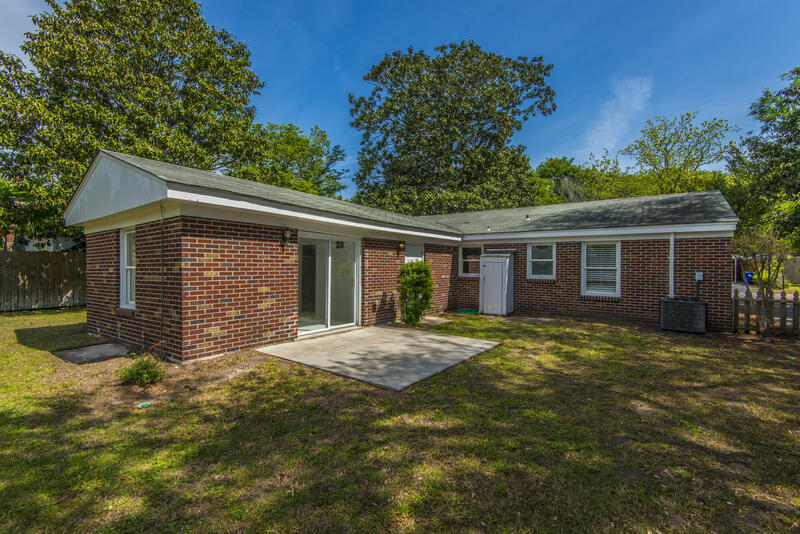 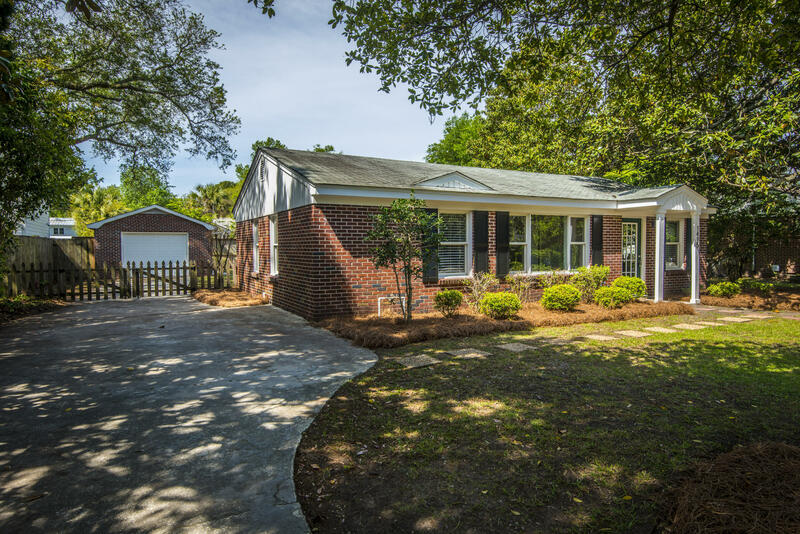 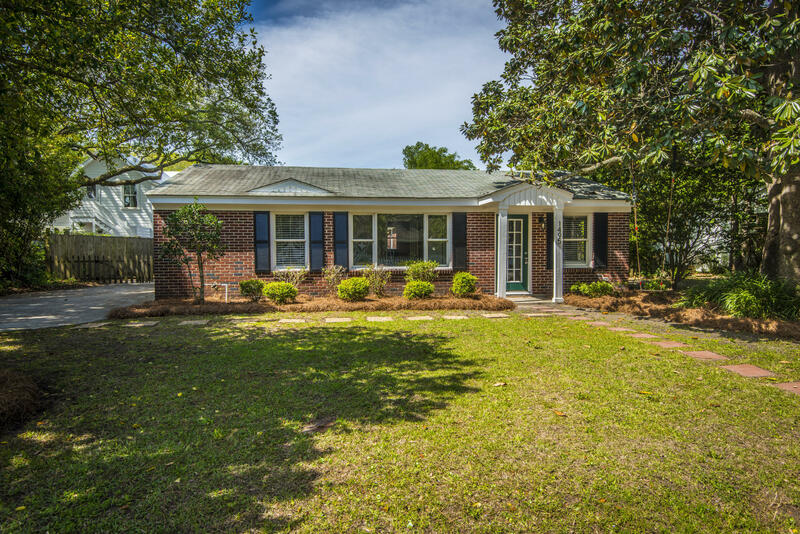 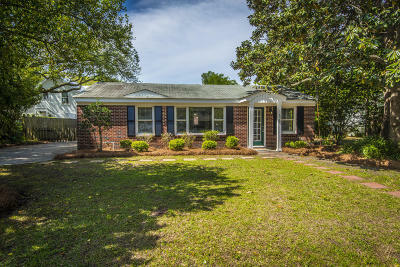 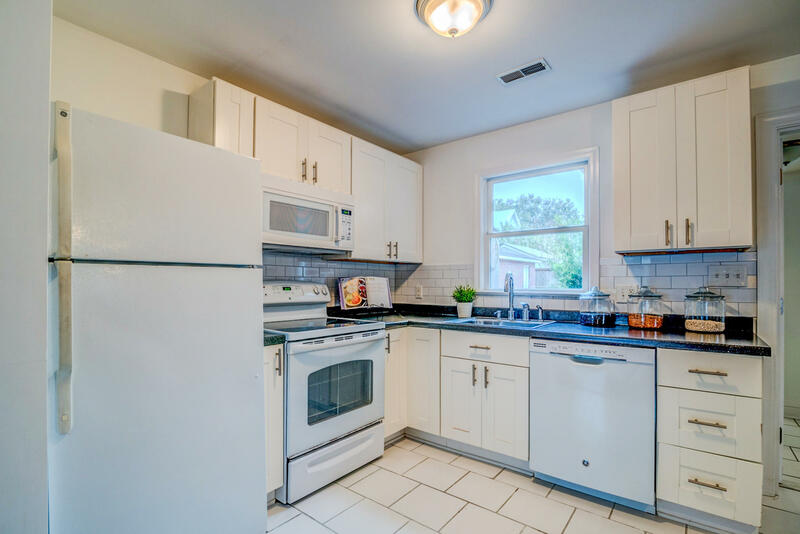 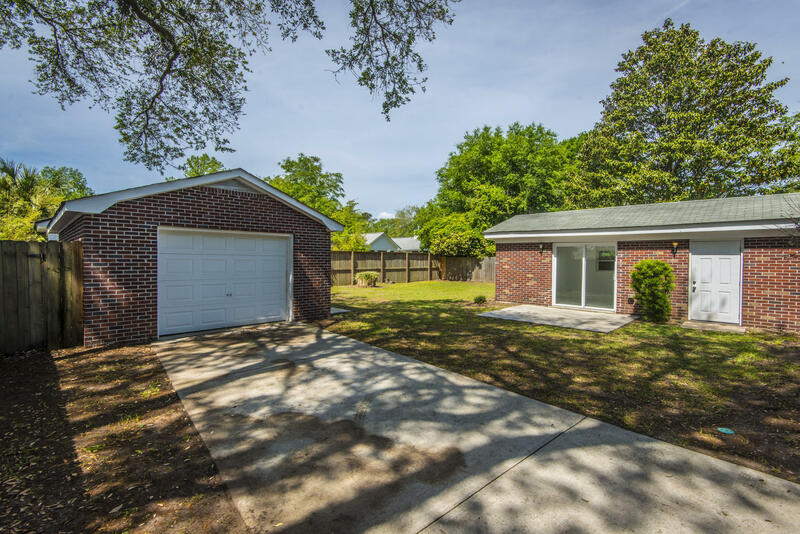 This low maintenance, all brick, single story ranch style home has been completely renovated and updated with modern finishes and conveniences! 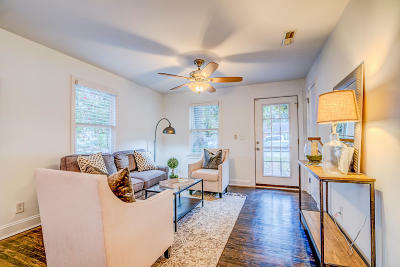 You&apos;ll love the bright and cheery feel as soon as you step into this little gem. 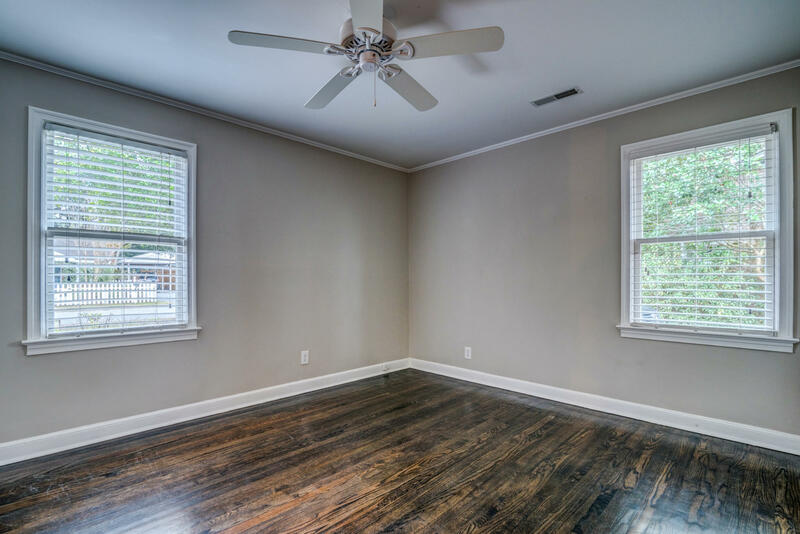 Dark hardwood floors contrast beautifully with the crisp walls and natural light in the generously sized living area which is open to the updated kitchen. White shaker style cabinets, subway tile backsplash and grey countertops give this kitchen a modern edge while the island provides a focal point with its butcherblock top and statement pendant lights. 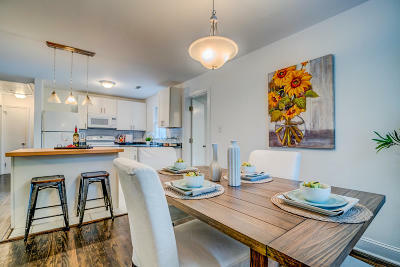 Have friends pull up a stool and enjoy a glass of wine while you prepare a dinner in the cozy but open and workable kitchen.The master bedroom offers crown moulding, lots of natural light, large walk-in closet and a fully updated en-suite bath. 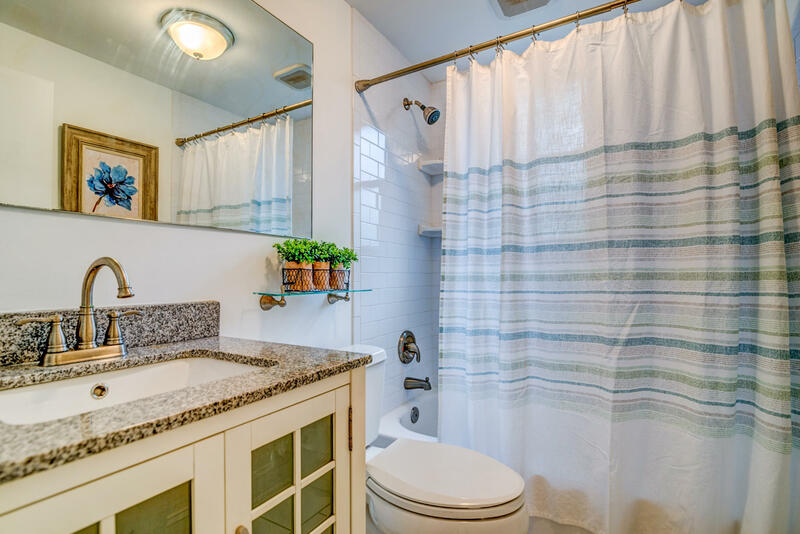 The bathroom features a furniture style vanity with granite countertop and undermount sink and tiled tub/shower combination. 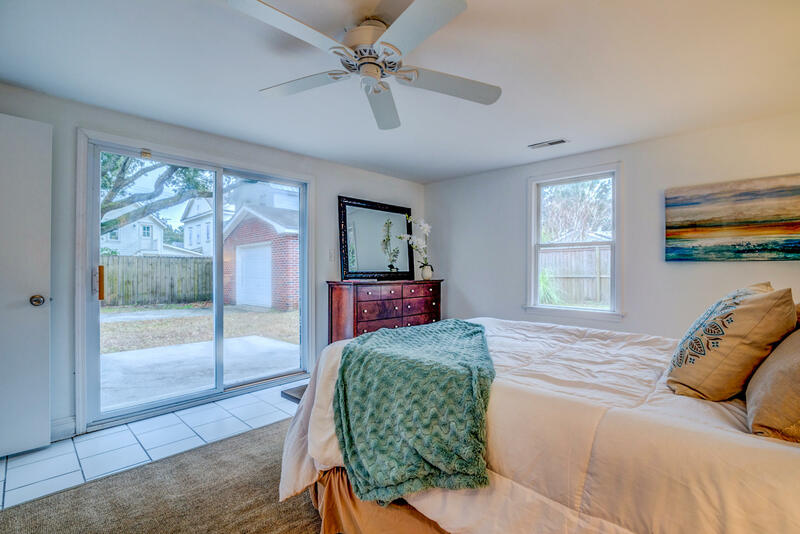 There are also glass sliding doors for access to the backyard. 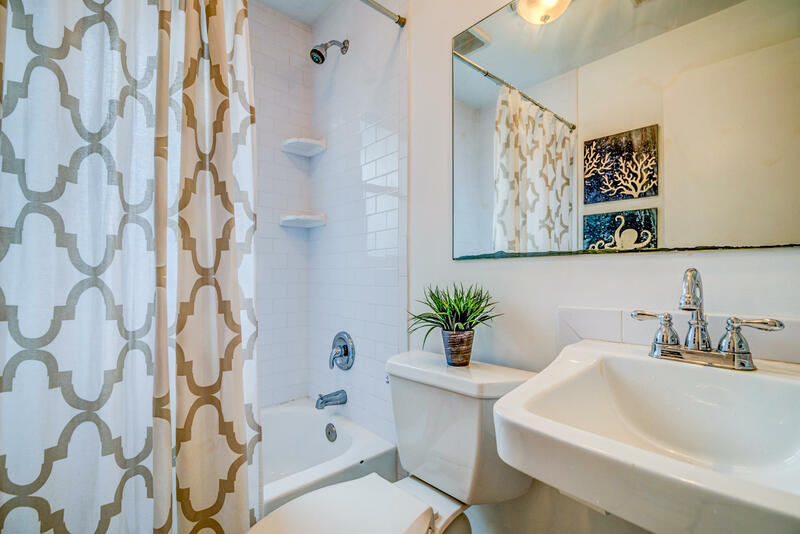 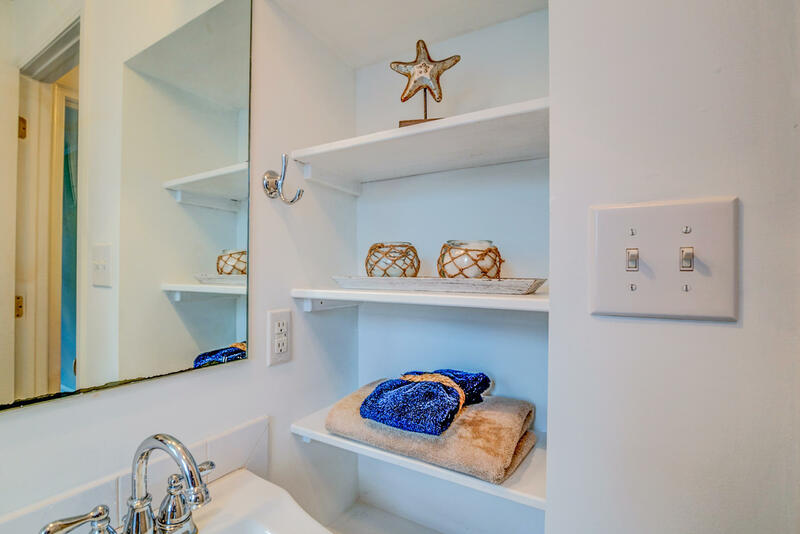 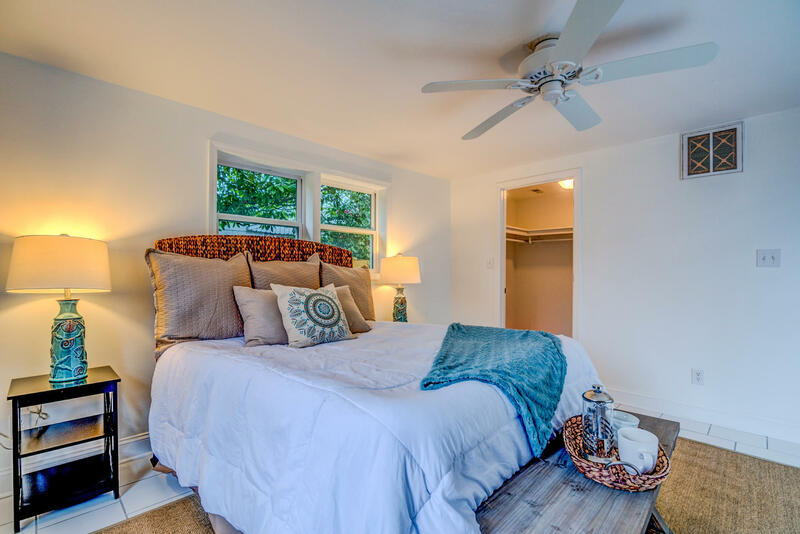 Two additional bedrooms are finished in the same style and share an updated full bathroom featuring built-in linen shelves and tiled tub/shower combo. 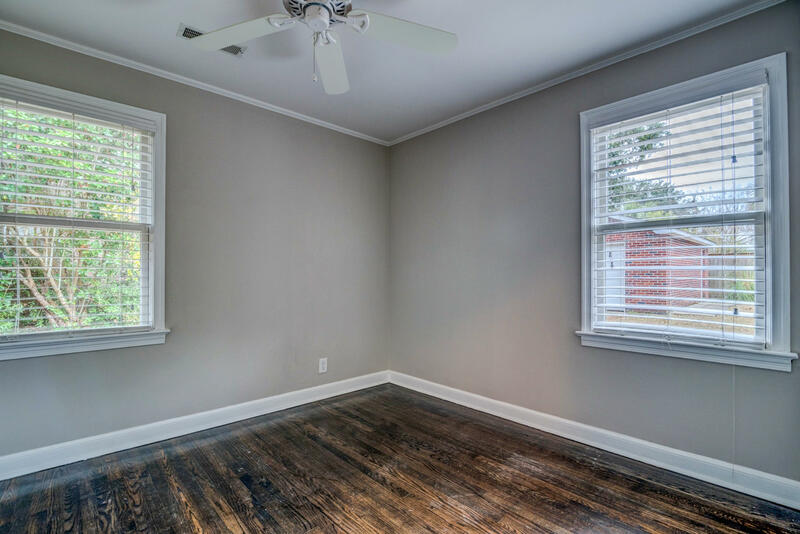 The fourth bedroom is tiled and offers an excellent space for a game/playroom, man-cave, home office or secondary living room! 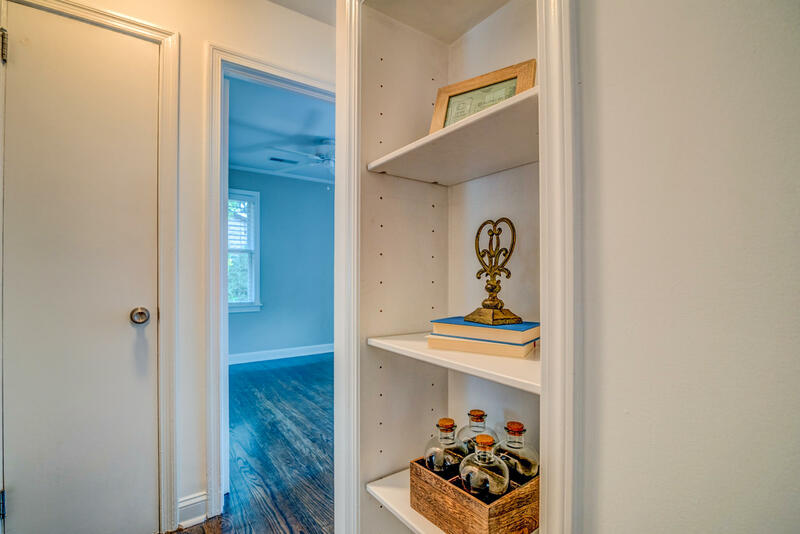 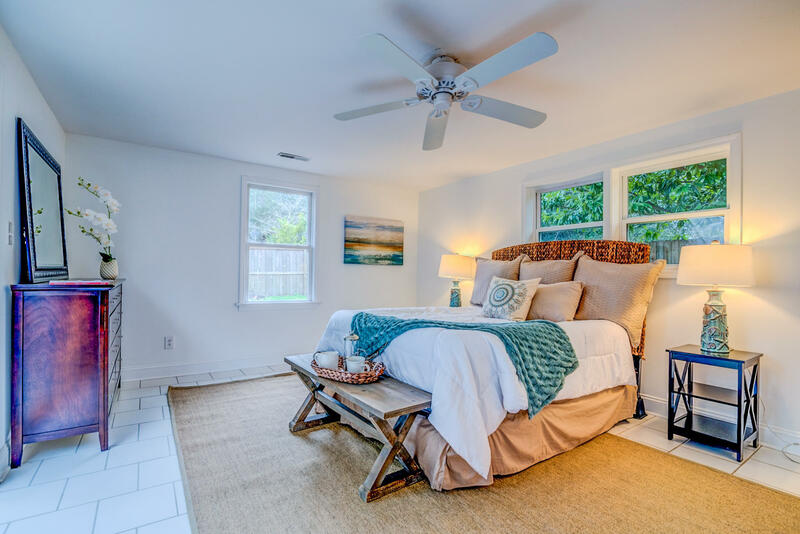 This home also offers a separate laundry/mud room, perfect for dropping sandy shoes after a day spent at the beach! 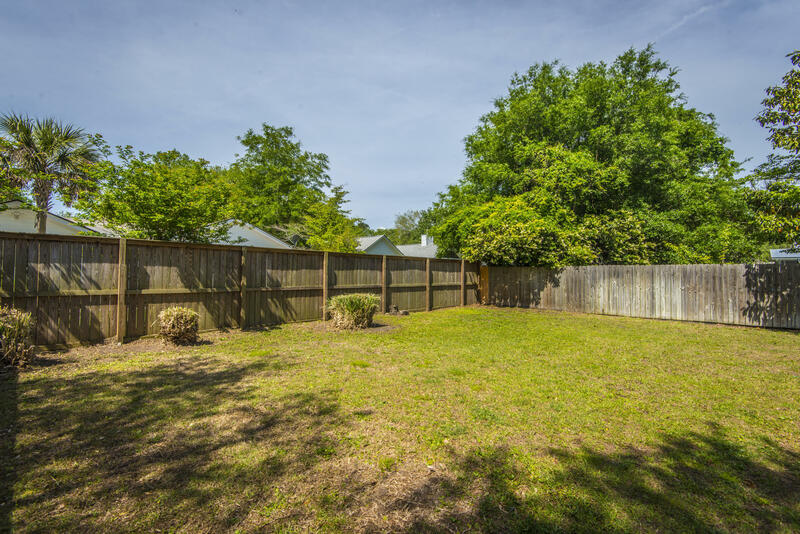 The ultra-private, large backyard boasts a full privacy fence and a patio. 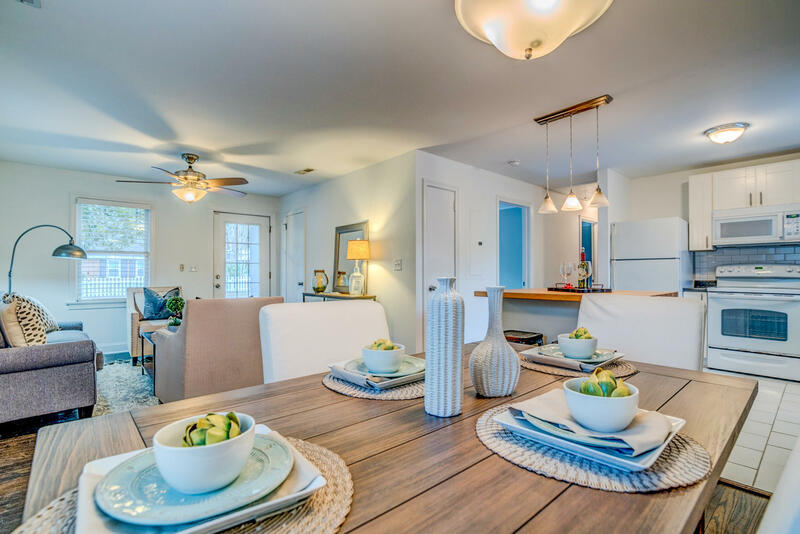 After a long day on the beach or boat you'll love firing up the grill and relaxing outside with family and friends. 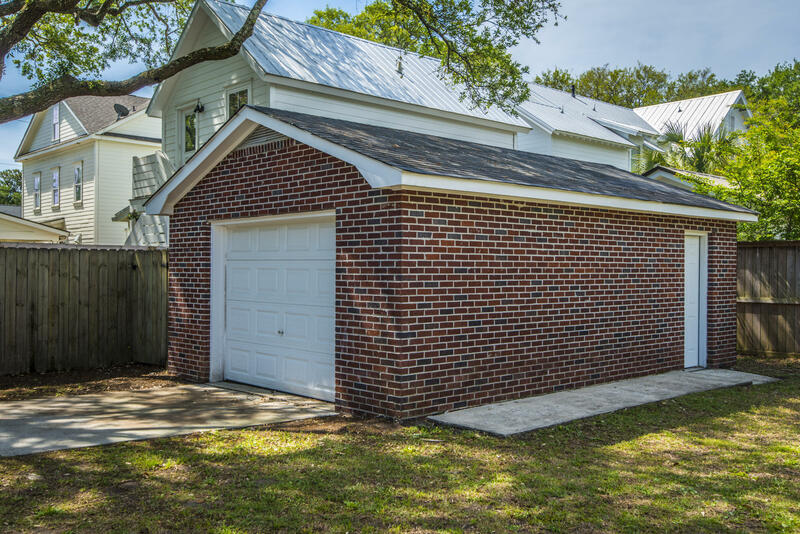 If you don't feel like cooking simply hop in a golf cart or on your bikes and head to one of the many popular restaurants on Shem Creek. The location of this home simply can't be beat! 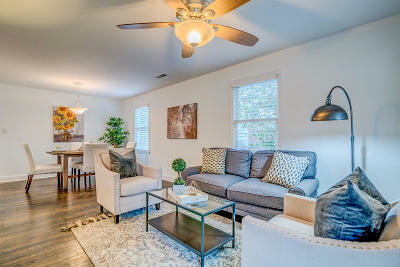 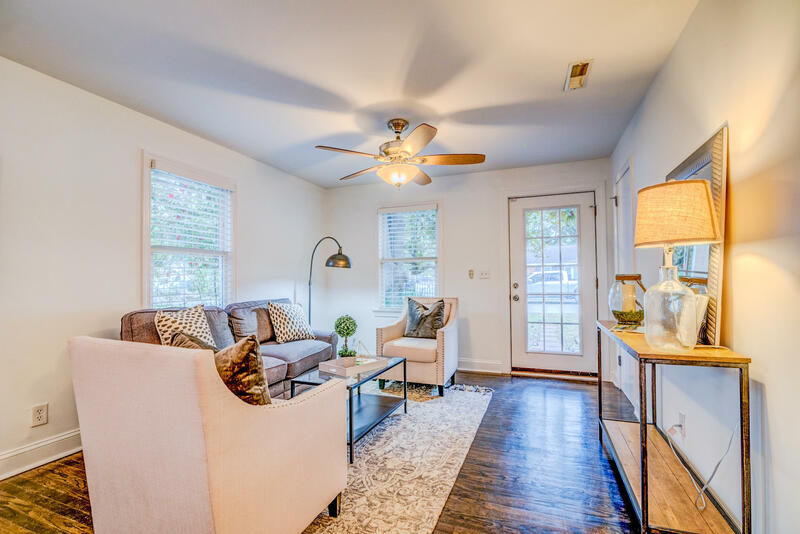 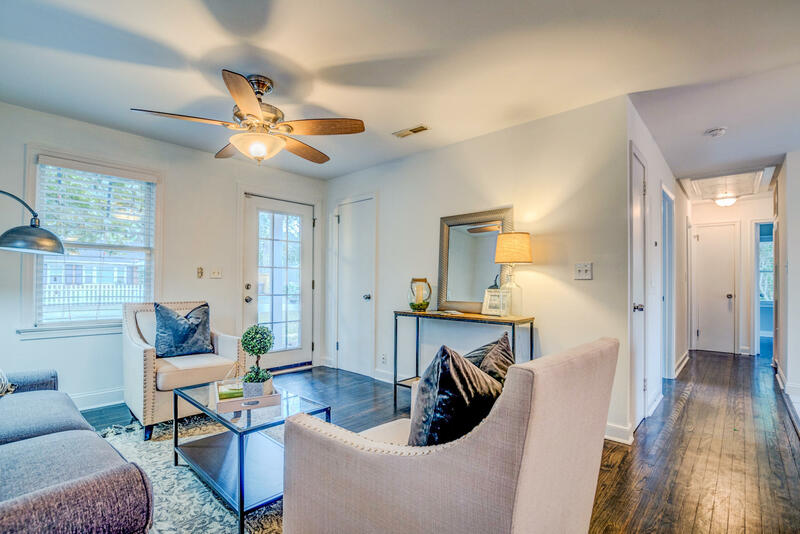 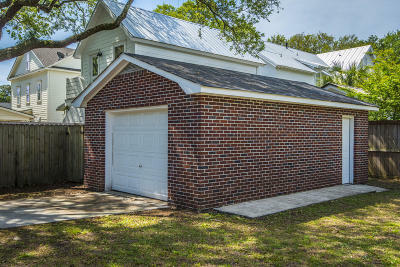 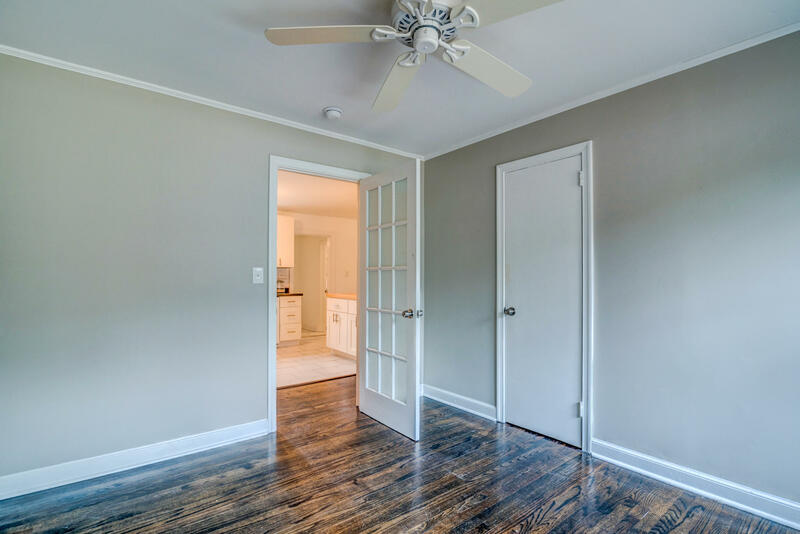 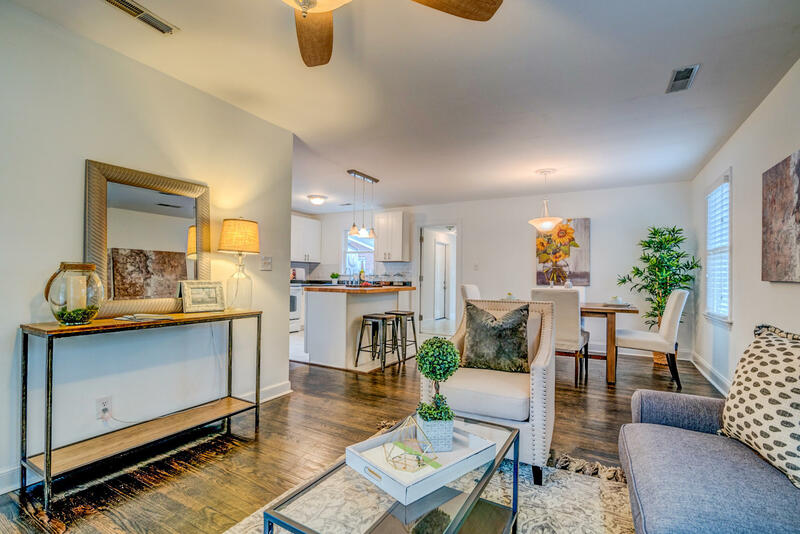 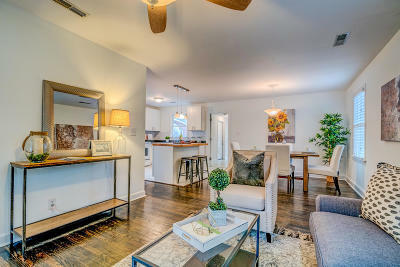 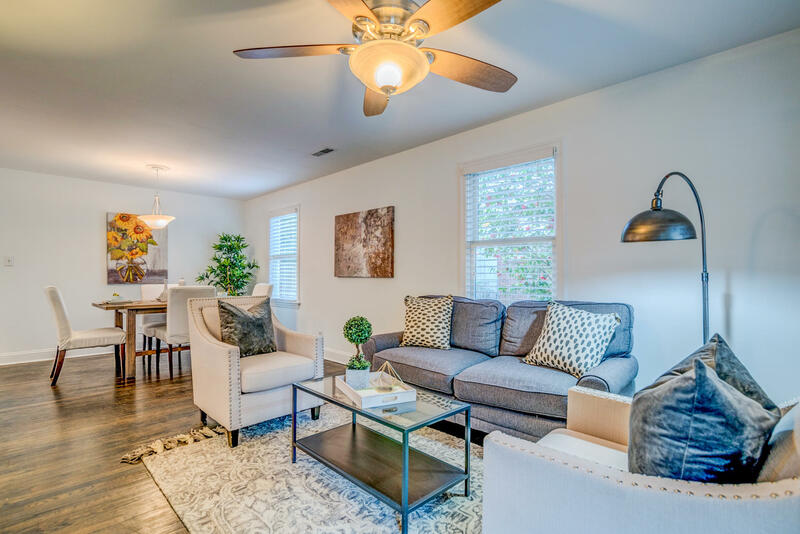 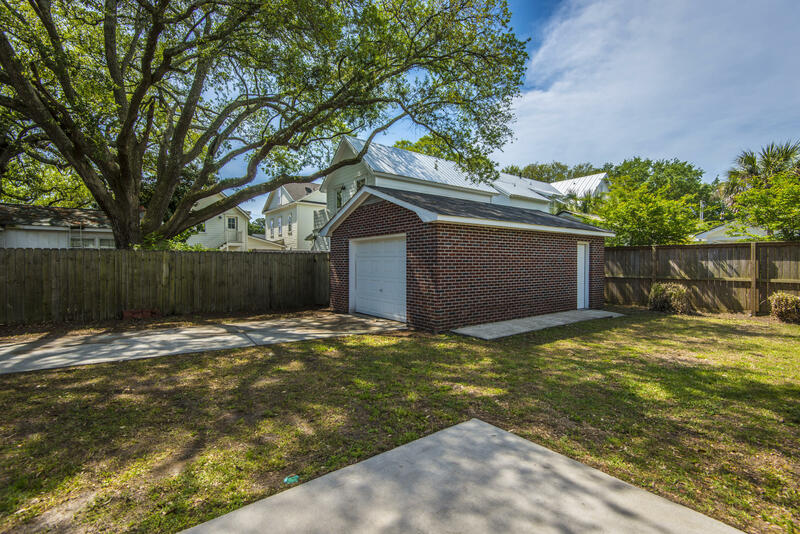 In the heart of the Old Mount Pleasant, you are mere minutes to the beaches of Sullivan's Island, the shops, entertainment and restaurants of the Coleman Blvd corridor as well as the world-class offerings of historic downtown Charleston.